Owners of the Model 3 —Tesla's first mass-market EV —can now use Siri voice commands for a select range of functions. These include things like unlocking doors, honking the horn, checking power levels, and locating the vehicle, Engadget said on Wednesday. Similar commands have been available to Model S and X owners since November. Crucially, Siri commands won't work while a Model 3 is in motion. At that point drivers are dependent on Tesla's own voice system, which at the moment is intended strictly for calling and navigation. CEO Elon Musk recently revealed that people will be able to do "pretty much anything" in the near future —an important point given that most controls in the 3 are found in touchscreen menus. Tesla just recently began taking Apple Pay for the $1,000 required to reserve a Model 3. 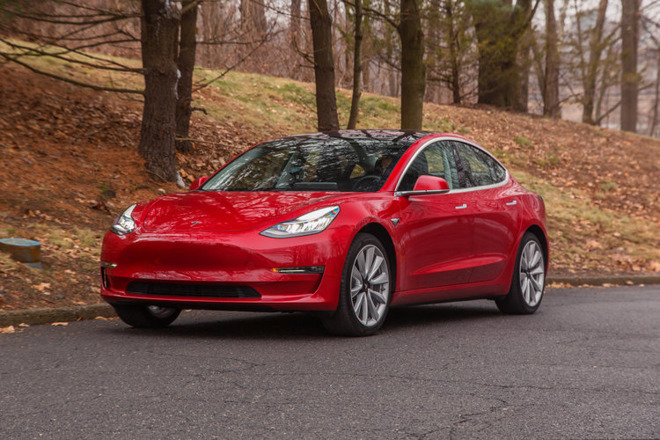 The platform can't be used to pay for the vehicle itself though, and forecast delivery times are sitting between 12 and 18 months due to overwhelming demand and the slow ramp-up of production capacity.